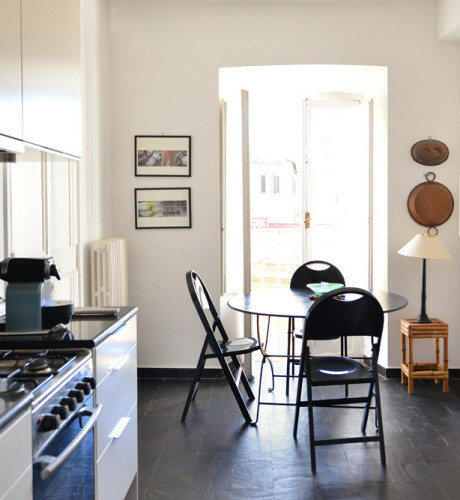 A young family or a group of friends on their Roman holiday will find a perfect home in this Campo de Fiori cozy apartment. You will find it on the 4th and last floor of an ancient building without an elevator. However even the climb up will almost take you back in time with the charm of the staircase alone. djacent to the dining area, there is the bright living room. With its comfy couches, desk and homey accents, you’ll feel nice and cozy after a long trip. 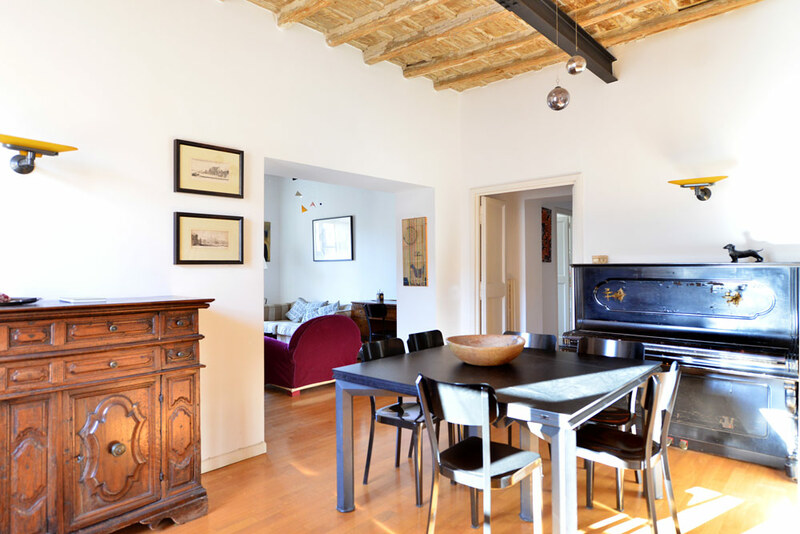 The nicely preserved wooden beams ceilings and parquet floors add warmth to your home in Rome. In the same space as the living area, there is a small room separated by a door. Here you’ll find a sofa bed that can sleep either two young children or an adult. This room also has a desk facing the window. The airy kitchen with a large window is the next stop down the hall. It comes complete with a dishwasher, an oven, a refrigerator, a freezer, a stovetop, a Nespresso machine, a washing machine and a small table. You also have all the kitchenware and tableware needed to cook up and enjoy a homemade meal! 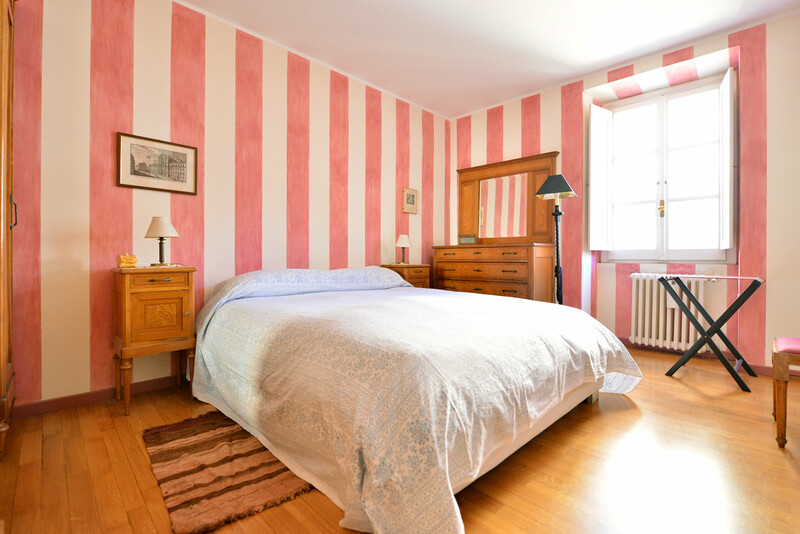 Further down the hall, you’ll see the master bedroom with its antique pink painted walls. 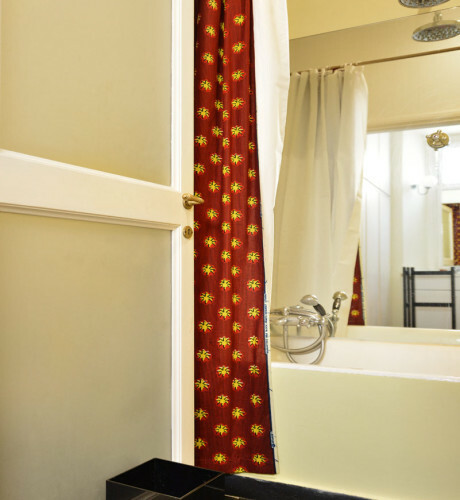 Here, there is a king size bed, as well as an ensuite bathroom with a bathtub. The second bedroom comes next with a twin bed. 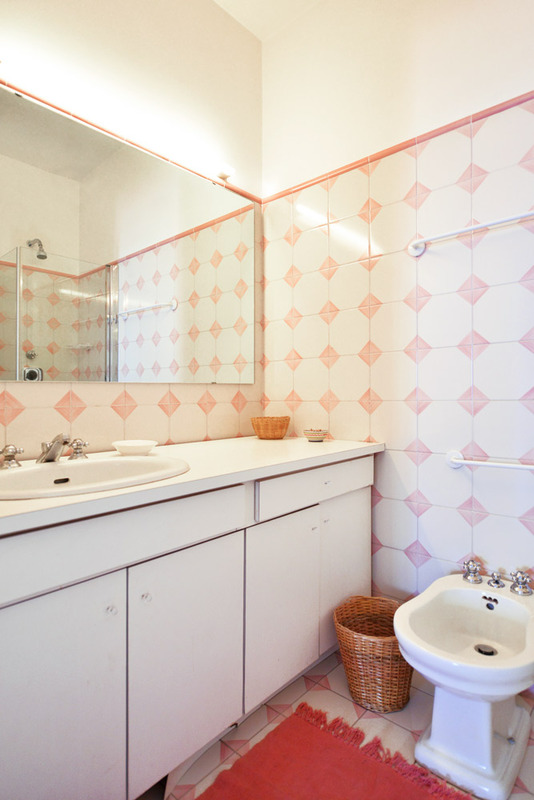 Finally, the second bathroom offers a shower. 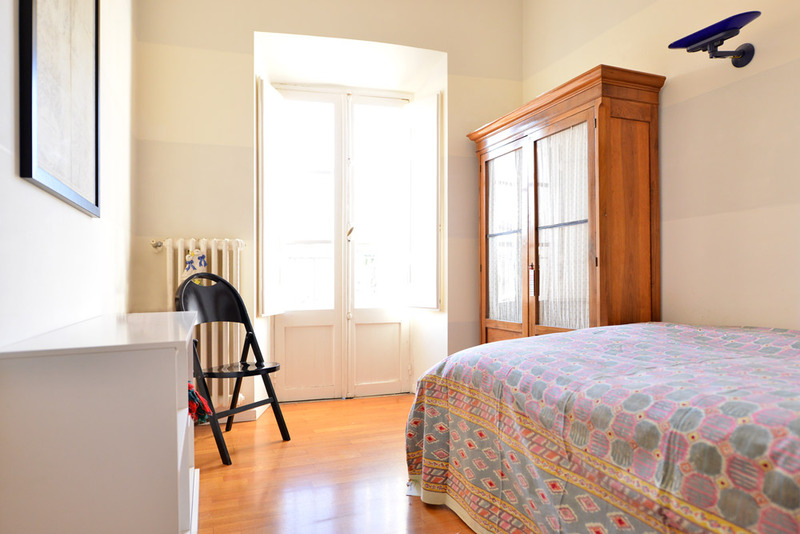 WiFi Internet access is also available in this charming Campo de Fiori cozy apartment. 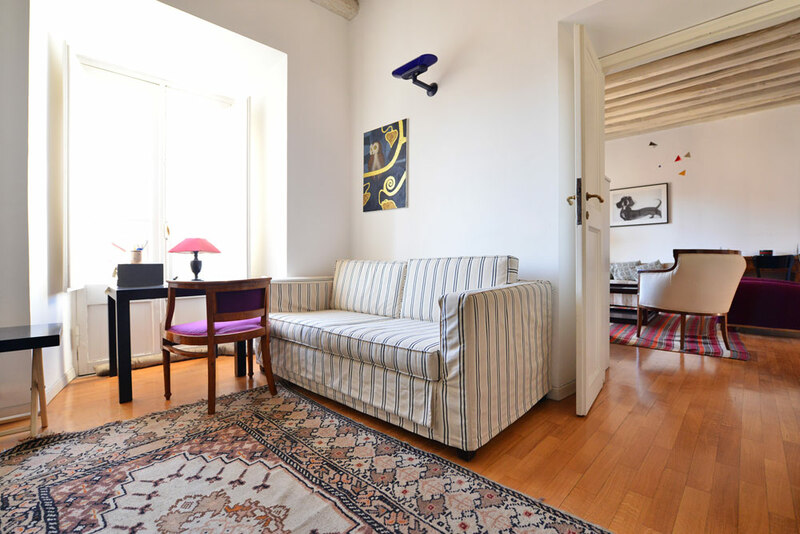 If you want to be near some of the best restaurants and bars of the city center, all the while staying in a quiet place, then this apartment is sure to give you the best of both worlds. 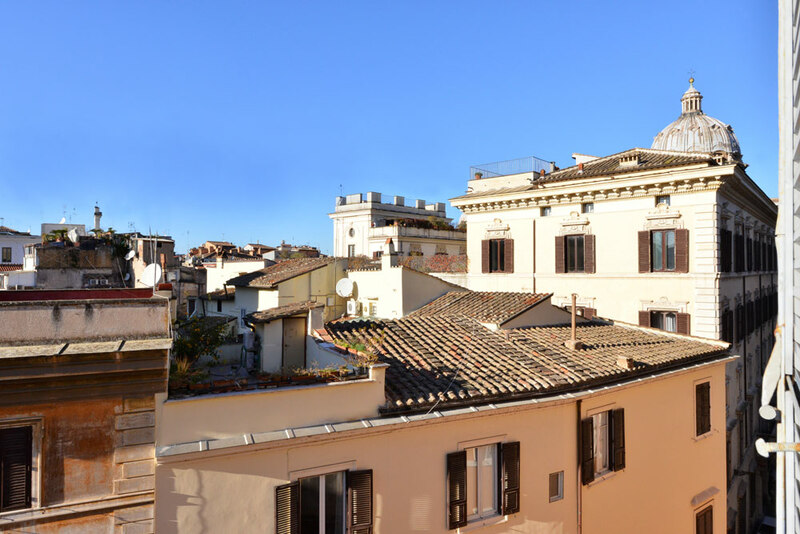 This property has a marvelous location, between the Campo de Fiori square on one side and the Jewish Ghetto on the other. The former is home to a great morning market selling fresh produce. The latter is extremely atmospheric, and has some delicious restaurants offering the traditional Roman-Jewish cuisine. Just across the river you will find the characteristic Trastevere area. This district’s charming medieval side streets are filled with small boutiques, restaurants, and bars. It is beautiful during the day, but the atmosphere is unforgettable at night. The streets fill with people spilling out from bars and restaurants, catching up with friends and people watching. This apartment is also very close to many important monuments. 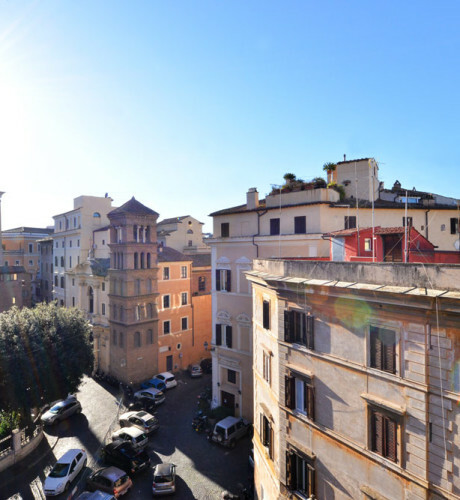 From the Campo area you can easily reach the Vatican, the Pantheon, Piazza Navona, and Trevi Fountain. 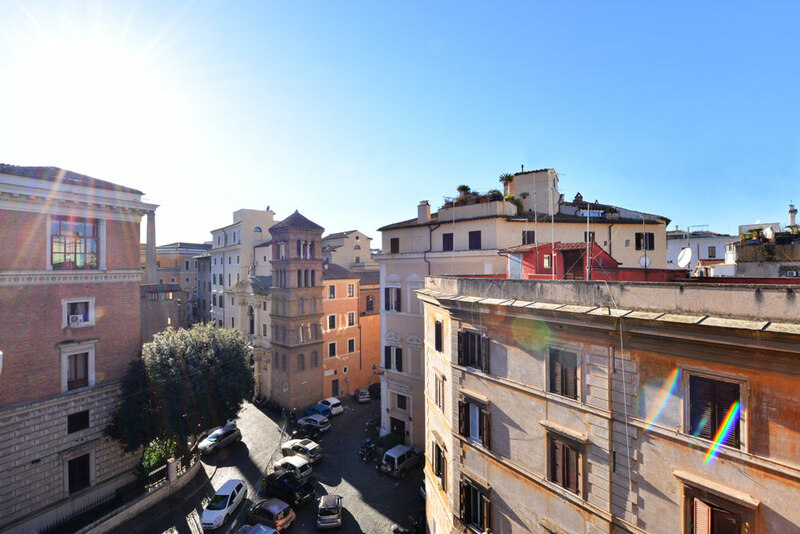 The Colosseum, Piazza del Popolo and Spanish Steps are a little further, though also very walkable! A particularly nice way to end your day in Rome is by wandering over to the Trevi Fountain at night. Not only will you benefit from smaller crowds, but you can also enjoy the atmospheric nighttime lights that illuminate the fountain’s waters. Thank you so much. Everyone was super professional and really nice. Loved the apartment. Just so happy. It was great. Will definitely book with Romeloft again! The apartment is very spacious and comfortable - as a family of 4 with two older teenagers it was good to have the 3 separate bedrooms. The kitchen is very well-equipped. The bathrooms could use a bit of updating but that's a very minor negative. The location is fantastic, we walked everywhere. We were so glad we'd booked the airpo...Read Morert transfers with you, Nino was prompt to pick us up in both directions and as we were on only a short trip it was lovely to have a hassle-free and comfortable journey to and from the airport. Nithar was on his own because of colleague sickness when we arrived on Saturday so we had a short wait and a bit of confusion before getting into the apartment, but we were really happy once we were in. 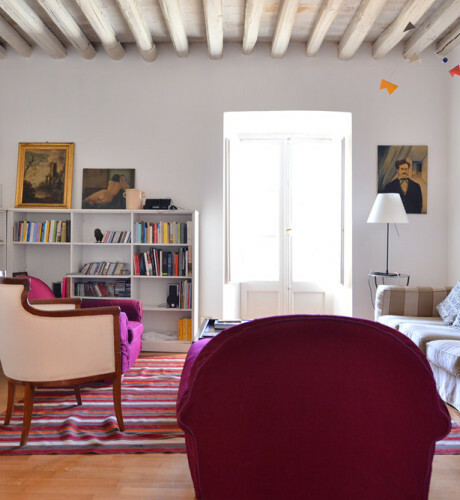 Very many thanks to RomeLoft - it was our first trip to Rome and we booked with you because of a friend's recommendation - we're so pleased we did. We'll be sure to recommend you to others! 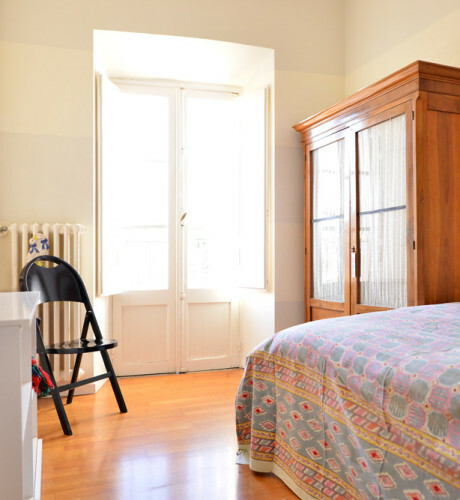 The atmosphere in Campo di Fiori cosy apartment is lovely. 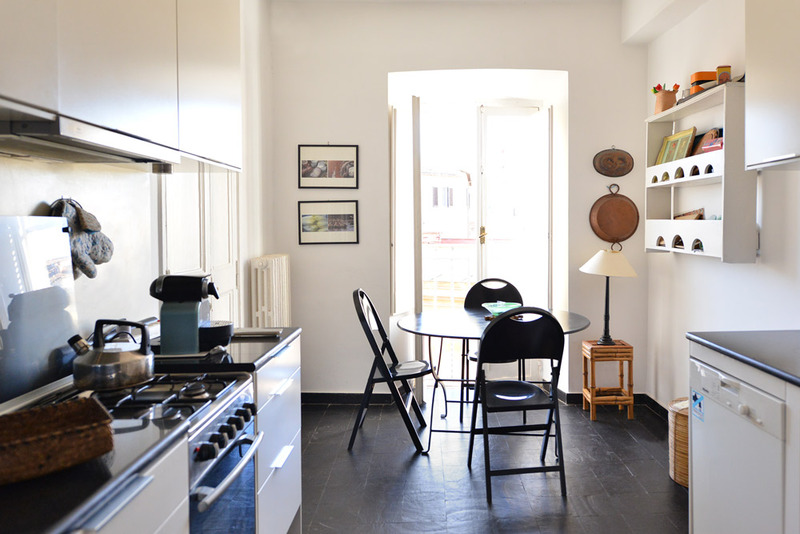 Situated in a great quarter of Rome, just off Campo di Fiori, and you can walk to just about any place in the centre. There's enough room for a family of five (with tall teenagers) except for the bed in the second bedroom; this is definitely too small for two teenage sisters with only ...Read More1.20m width and a single size duvet. Also, on the sofa bed, a duvet instead of an improvised duvet cover with a blanket filling would have been appreciated. 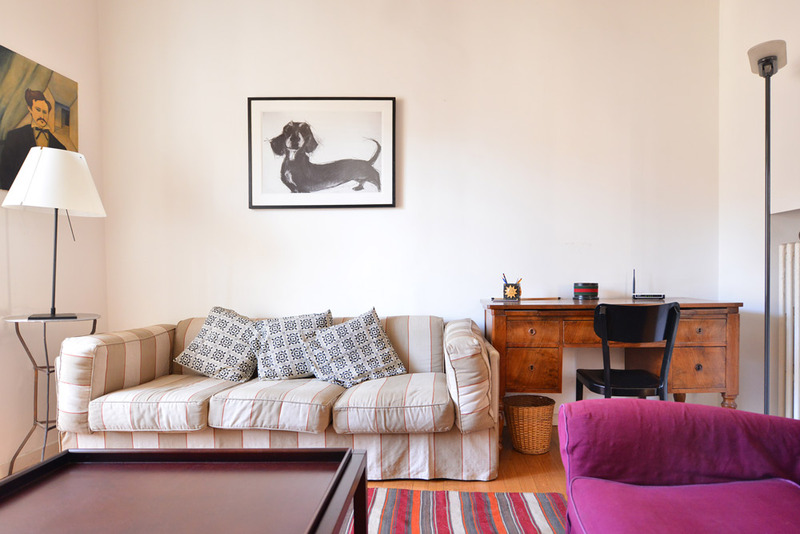 But for the rest we thought cosy apartment SUPER and we would certainly return on a next visit. The four flours climb was no issue for us, but more than worth it! 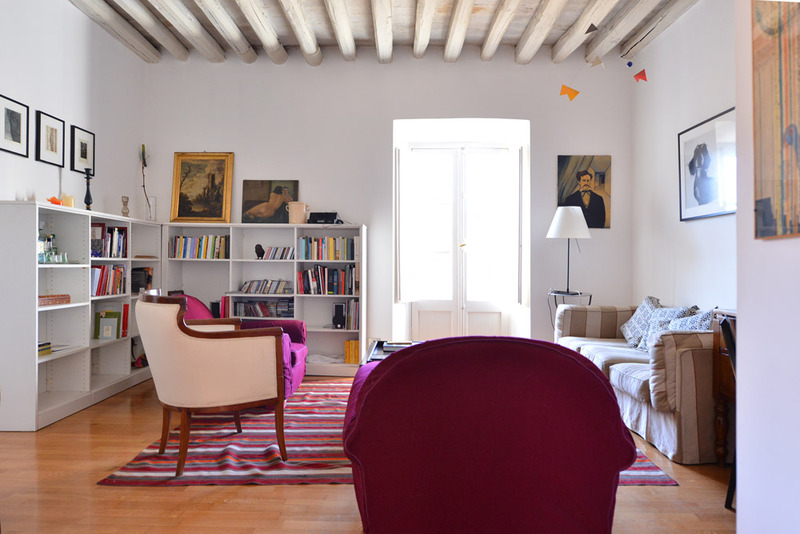 A wonderful and quiet place renovated and furnished with lot of taste and finesse. This lovely place reflects so perfectly the surrounding city, that sometimes you find yourself willing to stay inside, instead of going out and visiting beautiful Rome. 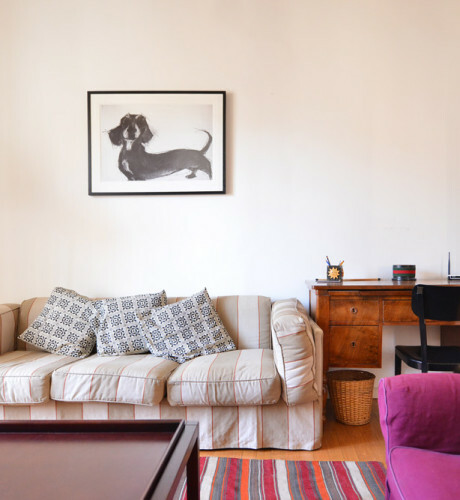 This apartment had a great location, me and my family really enjoyed our stay here! The street is not very noisy at night, but you can still get a glimpse of the Italian life in the morning. The apartment is quite spacious, and it's perfect for 5 adults. A great apartment to stay in if you aren't bothered with climbing to the 4th floor. Some minor details: the water closet supply tank in the small bathroom is filling too slowly, the door fixing in the main bathroom is broken. They say that a lifetime is not enough for Rome. Well, amid vacation lodgings, this apartment is greater than Rome. I say so because the apartment made our stay. It has ample living space for 4, excellent layout, with well lit corridors and tall ceilings throughout. 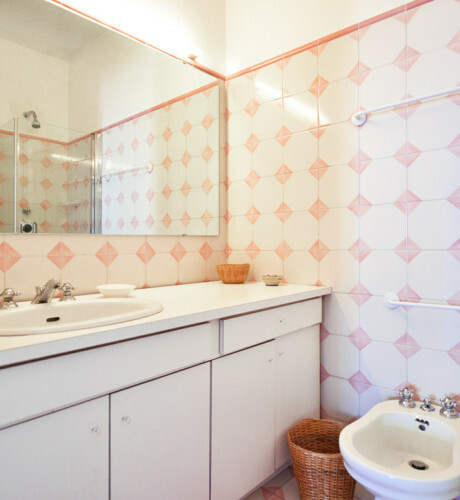 The specific features we loved were the two fully equipped large bathrooms (one...Read More with window), a master bedrooms with ample wardrobe space (bathroom ensuite) and plenty of space to relax throughout the flat. The architecture is excellent. 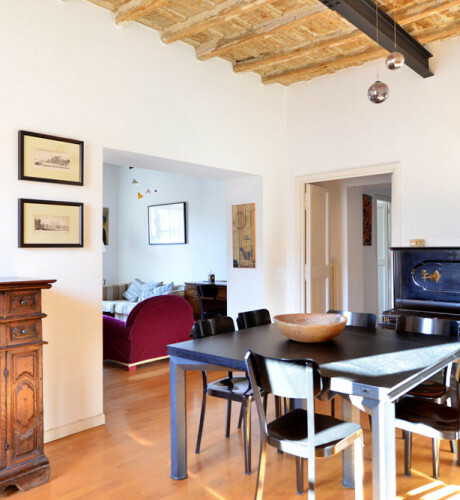 The apartment is structured around a straight central corridor, about 15-20 meters long. The master bedroom has eastern exposure: sunny mornings and cool afternoons. Windows avoid the usual faceoff with houses across the street I don't know of a bad location in Centro Storico. 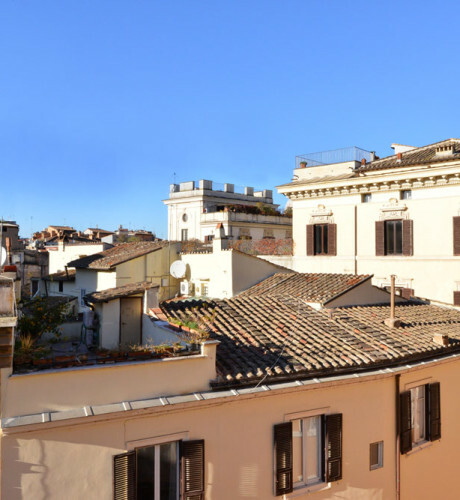 However, the area east of Campo dei Fiori excels in its firm orientation towards locals as opposed to tourists and its proximity not just to the Pantheon, Villa Borghese etc but also to the Jewish quarter and the Trastevere. There are no crowds like on Piazza Navona, just well dressed people. Great location, only booked two days before we traveled, meet and greet went like clockwork. Very large comfortable apartment at a great price. I would book again when visiting Rome. The apartment was huge! We didn't expect that. It was actually more room than we needed. We were a group of four - one couple and two singles. 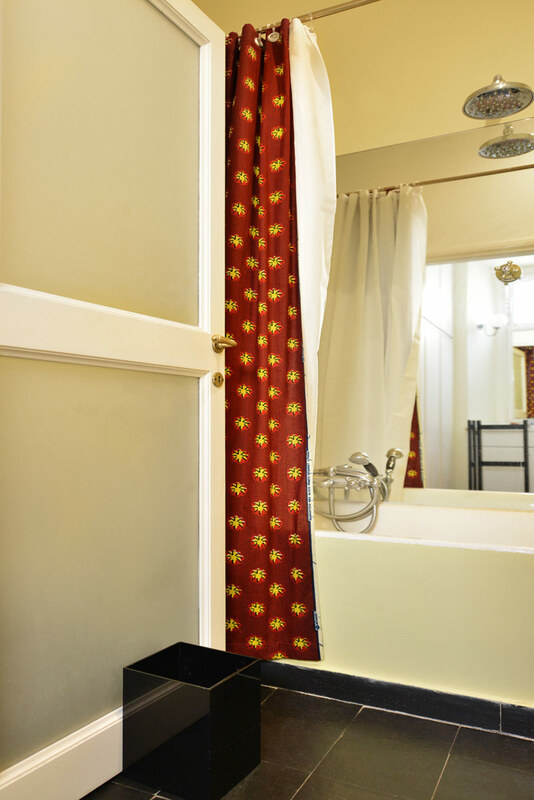 It was super to have a master bedroom with its own bathroom and a second bathroom for our two friends. The location was great- just steps from Campo di Fiori and a short walk to many of the tourist site...Read Mores in Rome. After travelling in Europe for 6 weeks and staying in many nice apartments, this apartment was the best! 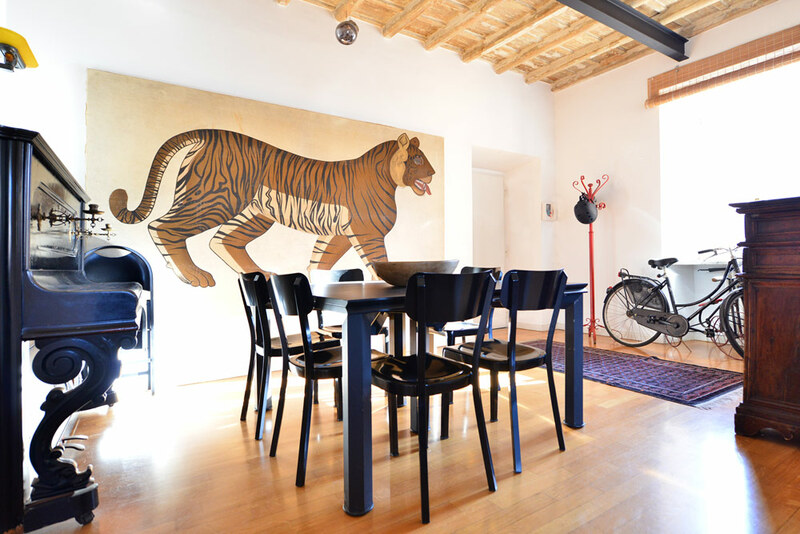 Rome Loft was great to deal with. All of my questions via email were answered quickly. 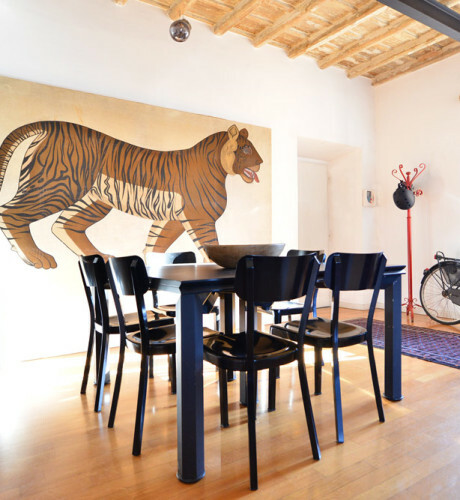 I would certainly book with Rome Loft again. We managed the stairs but bringing up groceries was tough. Loved the decor and the light and spaciousness. Great ensuite and bathroom for the main bedroom and good to have a bath. My sister was in the second bedroom and would have liked a mirror there in the natural light. We would also have liked some wine glasses and larger ceramic plates for ...Read Moreeating in. Fantastic location and we walked to all the sites, ate locally and did all our shopping a few minutes from the apartment. Very happy with our stay and had a great time in Rome. There was a bit of confusion about our arrival , not helped by us not having a mobile phone but all worked out in the end. We enjoyed this apartment - very close to many sites that we walked to every day. Around the corner from the food markets and wonderful Roscioli bakery (great pizza). The apartment has enough space to 'lounge' after a days walking - we have two teenagers. Great views from the apartment - top floor and quite. Ensuite bathroom did not work ...Read Morefor most of the duration of our stay so we used the second bathroom. we stayed here twice over the last few months and had a wonderful time. 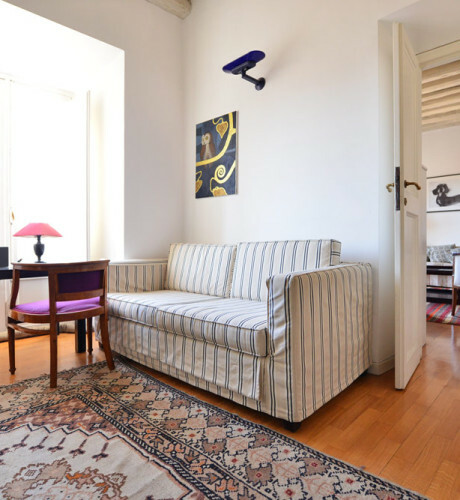 the apartment is very spacious and comfortable and located in a quiet little street close to everything. great experience for our first trips to rome! Fantastic space and location, with floor to ceiling shuttered windows in three different rooms, that opened wide to act as balconies. It's a long haul up those steps, but once up there you're rewarded with rooftop views and the endless entertainment of cars trying to navigate the tiny street. The front bedroom was loud only on Friday (unl...Read Moreess you count church bells and birds), and the master bedroom was silent. The apartment was pristine, the staff super professional, wifi great, the ride to the airport very affordable and on time! With three of us, there were rooms we never even used: I would say this place is perfect for 4, 5 or even 6. We had breakfast in the apartment (they show a Nespresso maker but don't provide pods, though there's ground coffee for the stovetop espresso pot), toured all day, then recharged in the apartment before having dinner in the neighborhood: huge number of restaurants to choose from. The location was perfect: we could pick up flowers, fruit and salumi in the Campo, milk, sugar, honey, yogurt, wine, from Roscioli, then it was easy walking distance for tour Trastevere, Pantheon, Navona, etc. The Forum and Spanish Steps (packed, horrible) were also walking distance, though we hopped a bus to Borghese, the Vatican and Testaccio (walked home via Palantine Hill). The showers are funky (european) but water was hot and plentiful, and the king bed was hard but comfortable. If you can handle the stairs, this is a great deal and an amazing space. I looked at hundreds of apartments online and space and location-wise, this one takes the cake.